After Dadi’s(Abhi grandma) death, we are shown a seven years leap in Twist of fate 2. Season 3, The Mehra family move from Mumbai to settle in Delhi. Pragya on the other hand, is shown living in the UK with her daughter, Kiara. Pragya stays with a man known as King Singh. Abhi marries Tanu but their marriage is just a sham as they do things differently and separately. Abhi focuses mainly on his musical career while Tanu focuses on upgrading her modelling career by going into an upcoming “Miss India” competition. Aliya is the one in charge of Abhi’s assets though she has turned into sworn enemies with Tanu. Purab and his wife, Disha are blessed with a son named Sunny. The family still misses Pragya’s presence while Abhi strongly believes that she is responsible for his grandma’s death. 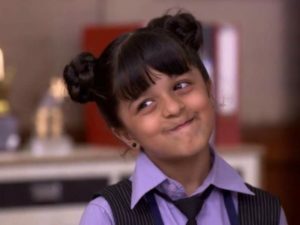 Kiara is Abhi and Pragya’s daughter even though Abhi doesn’t know he has a child somewhere. Meanwhile, King considers Kiara as his daughter and Pragya also claims to be King’s wife just to help him from getting into trouble. Pragya also believes that she caused Dadi’s death and King constantly tells her to let go of her thoughts of Abhi. As fate would have it, Abhi receives a contract of a world music album from a Delhi based organizer and King in London also receives the same contract. King then requests Pragya and Kiara to accompany him to Delhi. At the same time, one of Abhi’s aunt(Swarn Dadi) comes visiting so Abhi goes to pick her up at the airport. Coincidentally, it is the same time King, Pragya and Kiara land in Delhi. Abhi and Pragya feel each other presence but do not see face to face. Luckily, Abhi and Kiara meet and Abhi thinks of her to have a similar nature to Pragya while Kiara considers Abhi to be arrogant. King and Pragya decide to enroll Kiara in an international school. Sunny also attends the same school. On the day Pragya is taking Kiara for admission, Abhi also visits the school to help a friend. They feel each other’s presence once again. Kiara is denied enrollment for some basic reasons but a mix-up of a recommendation letter written by Abhi allows Kiara to obtain admission. King and Pragya are surprised on who could have helped Kiara and Abhi too is also ignorant of the fact that he helped his own daughter. Kiara and Sunny meet but they become rivals. However, Abhi and King bump into each other on different occasions. Their egos clash and they engage in heated arguments but they are unaware of each other’s connection with Pragya and the music industry. Swarn Dadi arrives at the Mehra house and she is kept in the dark of everything that occurred in the past especially Abhi and Pragya’s marriage. A press conference is organized for King and Abhi to meet on their upcoming world music album. Pragya is unable to attend the programme with King as she has to take Kiara to school. As Abhi and King prepare to make their entry, Kiara is put in Sunny’s class. 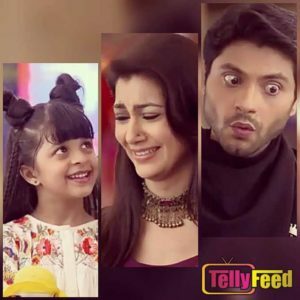 Aliya finds out that King has received more money than Abhi, so she persuades the fans to place their attention on Abhi alone sidelining King. Tanu notices Aliya’s plots and informs King. During the conference, Abhi and King once again get into an argument. This then results in uproar between Abhi fans and King fans. Abhi finds out from Purab that Aliya was the mastermind of everything that happened. Abhi decides to cancel his contract with King. Pragya arrives and see the commotion in the hall, she goes to find King and he angrily tells her to end the contract. King then agrees but gives her a condition which is: Pragya would not involve herself in the conflict he has with Abhi. Pragya is clueless that Abhi is the one King has issues with. Back at the Mehra house, Swarn Dadi informs everyone about seeing Pragya at the hall. A fight ensues between Abhi and Tanu which forces Abhi to tell Swarn Dadi about how his marriage to Pragya ended. On Dadi’s instructions, Abhi goes to enquire about Pragya at the hall. He is unable to find her so he gets heavily drunk and hits King’s car with his own car. They both confront each other and eventually get arrested by the police for drunk driving. Pragya learns of this and rushes to bail King at the police station. This way, Abhi sees Pragya for the first time in seven years. But before he could approach her, he overhears Pragya stating to the police that she has been married to King for the past years. Abhi is released but he goes back to the station to demand an explanation from Pragya. Pragya car leaves before Abhi could get through to her. He blames Pragya for not coming back to him and decides to forget her. Meanwhile, Pragya asks King to change his anger nature for the sake of his career. Abhi and Kiara bump into each other and end up getting stuck in an elevator. Pragya runs around to get the elevator fixed while Abhi forms a bond with Kiara. Tanu spots Pragya and distracts Abhi to prevent him from meeting her. King calls Abhi and accuses him of being a fraud. This almost leads to a fist fight between them. Mr Wick, the organizer of the world music album call the two music stars to order and request them to put their differences aside and cooperate to achieve success. 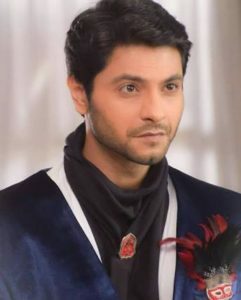 When King says he will think about it, Abhi suddenly recieves a call from Sunny’s school. On getting to the principal, Abhi is told that Kiara has been bullying Sunny for a while. Kiara behaved rudely to Abhi and Abhi feels upset about this but doesn’t know why. In the meantime, some terrorists breaks into the kids school and kidnap them. Abhi learns this and sneaks in to save Sunny, Pragya also does the same to rescue Kiara. Abhi and King decide to cooperate with each other but they throw a challenge on who is the best between them. The challenge also involves their respective wives meeting each other. Kiara settles with Sunny and they turn friends. At the party organized for King and Abhi, Pragya finally see face to face with Abhi. The duo still hold their feelings but doesn’t show it. Due to an accident, Abhi realizes that Kiara is his daughter through a blood test. However, King seems to have fallen in love with Pragya and wants her for himself. Here, viewers will witness a love triangle forming between Abhi, Pragya and King.